Ubuntu 14.04 'Trusty Tahr' has arrived, a mere week after the death of Windows XP, complete with improved high-DPI display and tablet capabilities. Publicly available downloads of the latest version of Ubuntu started on Wednesday and is Canonical's latest Long-Term Support (LTS) version. As its name implies, LTS versions of Ubuntu receive support updates for five years instead of the typical nine months. LTS versions are designed with enterprises in mind, focusing less on new features and more on stability. That's also good news for users, as fresh Ubuntu releases can sometimes be particularly unstable and painful to use. Even with its stability focus, Ubuntu 14.04 does bring a few interesting improvements such as improved support for high pixel density displays. The new Ubuntu build also comes with the previously reported switch from global menus at the top of the screen to window title bar menus. For anyone who doesn't like the new locally integrated menus (LIMS), there's an option under Settings > Appearance > Behavior to toggle between global or local menus. The new Ubuntu build is also optimized for multi-touch trackpads and touchscreens. That's particularly important because Canonical also released the official 1.0 version of Ubuntu for tablets with Ubuntu 14.04. There aren't any official Ubuntu slates for sale yet, but Canonical is suggesting we will see some later this year. 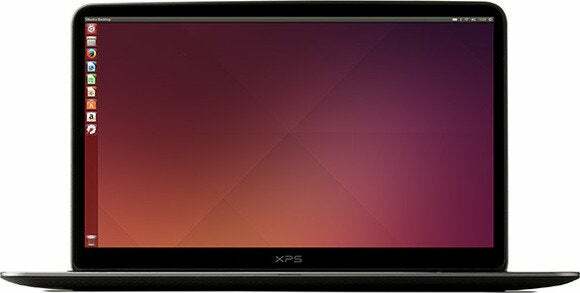 "14.04 LTS will also form the basis of the first commercially available Ubuntu tablets, from Canonical’s OEM partners," the company said in its press release on Wednesday. Canonical's plan with Ubuntu is to turn the Linux-based distribution into a one-size fits all OS running on phones, tablest, and computers. That sounds similar to Microsoft's goal with Windows 8.1 to fit two interfaces across PCs and tablets Windows. But that's not what Canonical is going for. Instead, Ubuntu will modify its UI based on the device it is being used on—at least in the long term. The anticipated code convergence wasn't quite ready for this release, the PC version and the mobile versions are still separate entities. The tablet version of Ubuntu can be installed on Nexus 10 and second-gen Nexus 7 tablets. It's still targeted towards developers and is not a long-term support candidate. Desktop users interested in viewing the future of Ubuntu can install an option to login with the new Unity 8 interface as an early preview. Unity 8 is Ubuntu's interface used on Ubuntu for phones and tablets.